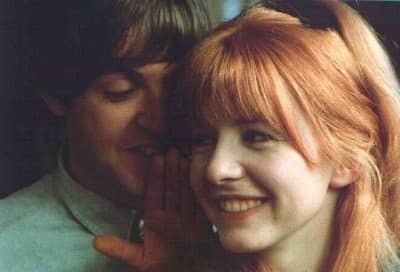 It was fifty years ago today- July 20, 1968- actress Jane Asher broke off her engagement to Beatle Paul McCartney during an appearance on the BBC television show to host Simon Dee. Asher’s statement was “I haven’t broken it off, but it is broken off, finished. I know it sounds corny, but we still see each other and love each other, but it hasn’t worked out. “Perhaps we’ll be childhood sweethearts and meet again and get married when we’re about 70.” The pair had been together for five years. Over the years Jane Asher has kept her story quiet- she moved on, no comments, no kiss and tell book. A class act. 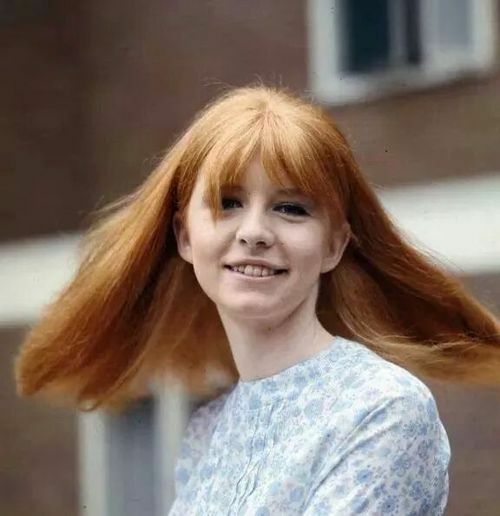 Jane Asher during her years with Paul inspired many songs- And I Love Her, Here, There and Everywhere, Things We Said Today, For No One, You Won’t See Me, Every Little Thing, Honey Pie, Martha My Dear, We Can Work It Out, I’m Looking Through You all come to mind. McCartney got a lot from that relationship- the Asher’s were a highly cultured family. Her father Richard was an eminent British endocrinologist and haematologist. Jane’s mother was a music teacher and musician. One of her pupils was a young man named George Martin. Jane’s brother Peter would be part of Peter and Gordon and later a very successful record producer. Her sister Clare was a radio actress. McCartney lived with the Asher family in London from 1964-66. She said she is happily married and has moved on. A class act. Yes she is… I wonder where Peter is now? He has a show on The Beatles Channel during the week. It’s not bad. He was touring last fall I forget who with. I haven’t listened to the show in a while- I suppose it is still on. I’ve never heard him on there… I’ll have to listen for him. Maybe I did and didn’t know. He always starts out with a Peter and Gordon song then goes from there. Tells some good Beatles -1960’s stories. One knock I have on it is he sounds like he is reading from a script. I could be wrong.